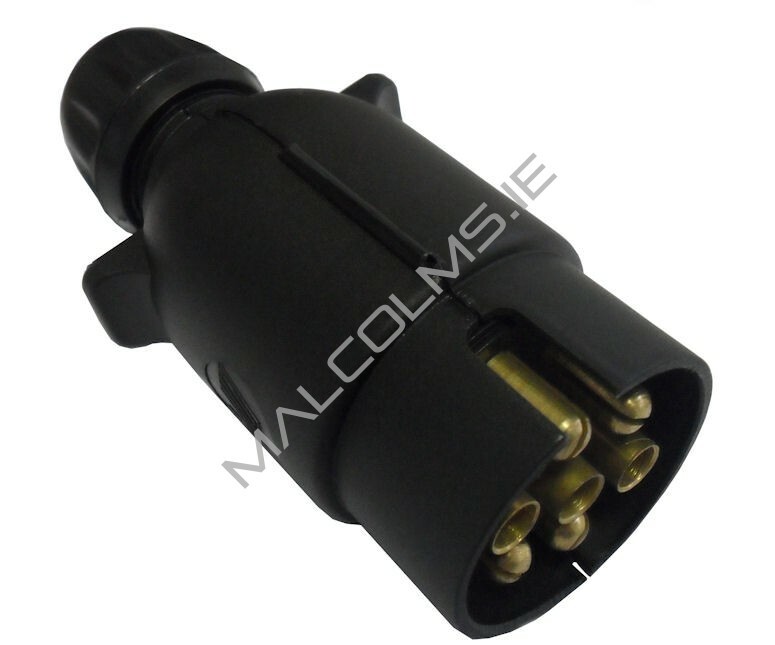 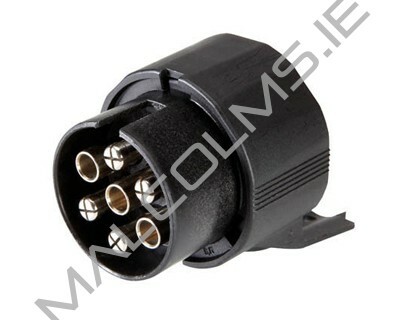 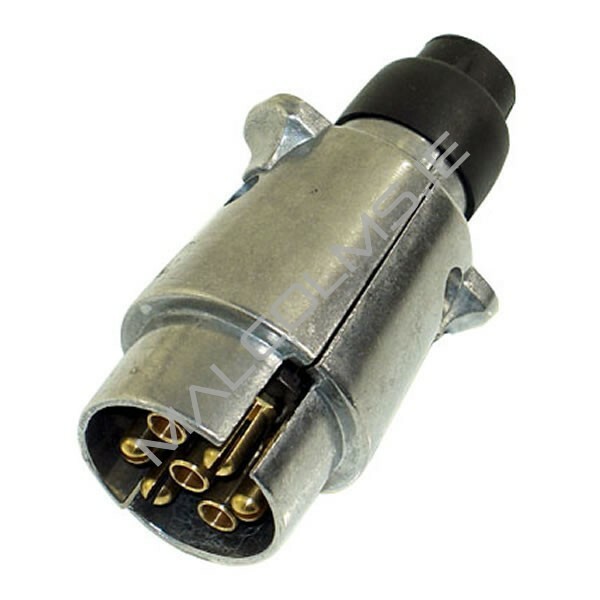 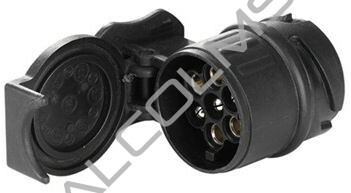 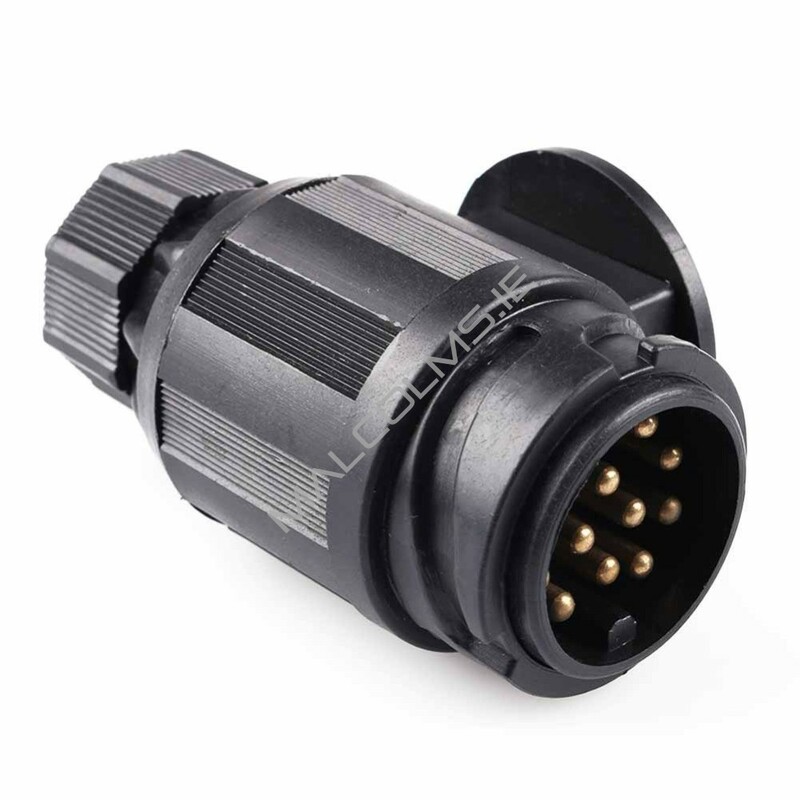 Adaptor to convert 13 pin socket on the vehicle to a 7 pin 12N socket. 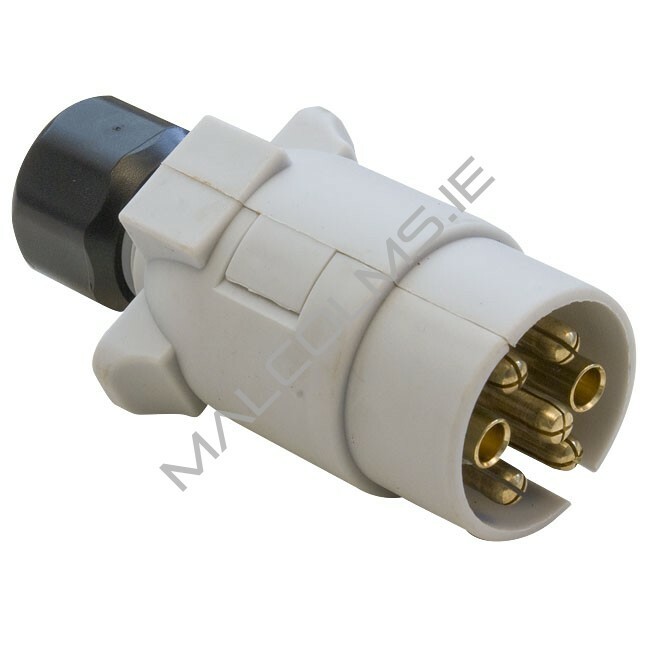 Adapter to convert 7 pin socket on the vehicle to an 13 Pin connector on the trailer. 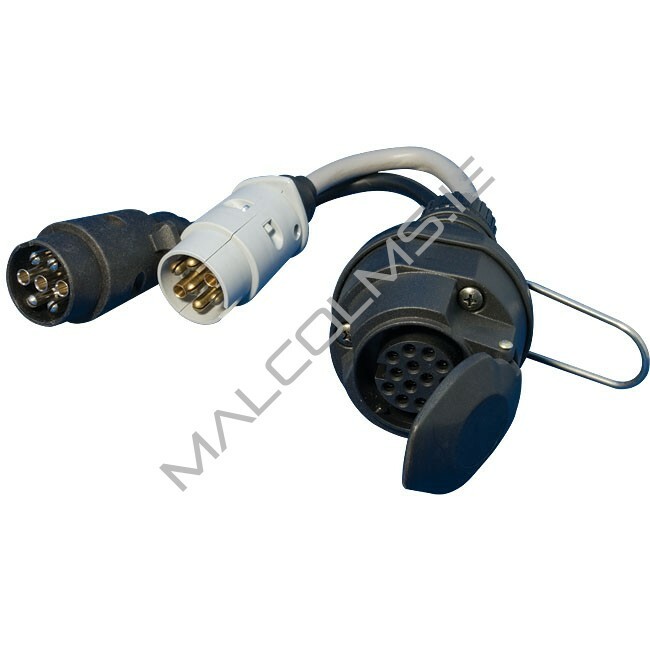 Adapts dual sockets on the vehicle to a single 13 Pin socket.